We currently work on commissions for commercial clients in the U.K, Australia and the United States. We have a network of textile suppliers, digital printers, sewing production and installers within Europe which we rely on to deliver tailored textiles for a variety of applications. 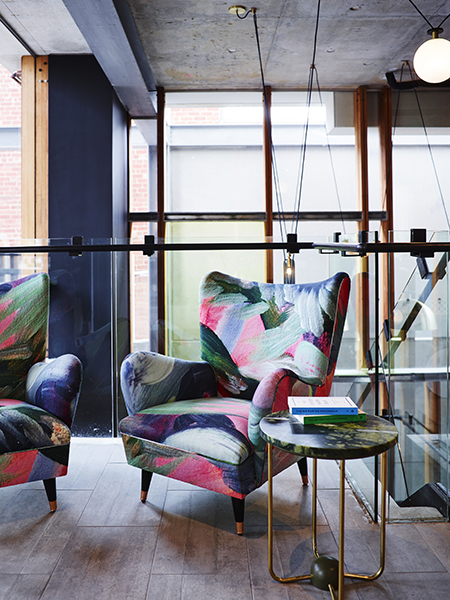 The Firmdale group in London have fitted their elevators in Shilo's printed linen, while Arent&Pyke of Sydney have used Shilo's fabric as statement pieces and upholstered armchairs and sofas. The textiles can be framed, wall mounted, used as upholstery for bed heads as well as soft furnishings. If you have a particular project and palette in mind, get in touch about what we can offer in terms of outdoor, wallpaper, textiles and original paintings. Shilo Engelbrecht textiles, Tanglin 6 upholstered on the armchairs. Shilo Engelbrecht digitally printed her painting "Alv" for Consort Design in L.A to upholster two vintage chairs. 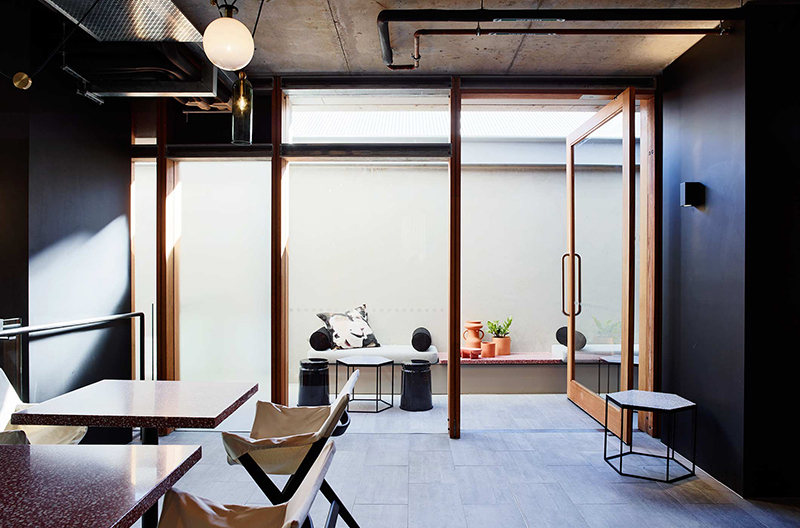 In the heart of Soho and just a block from Mayfair, Tim and Kit Kemp have designed Ham Yard Hotel with a distinctly ‘urban village’ feel. Alongside the hotel’s 90 individually designed bedrooms and suites are 24 apartments, 13 shops and restaurant and bar. Kit has framed Shilo's textiles and upholstered the interior of the elevator in Shilo’s linen featuring the painting ‘Tanglin’ (pictured below) Prior to the launch Kit gave Shilo a tour of the site and her work in situ.